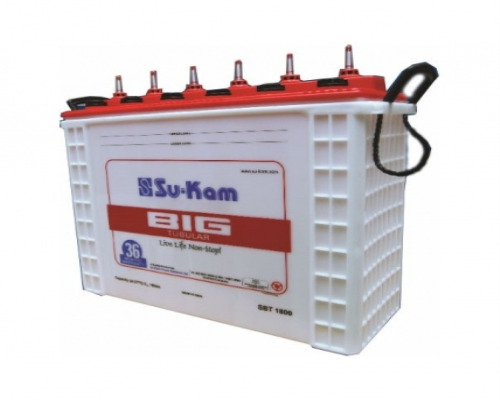 Su-Kam Big conqueror 150AH Inverter Battery is a much in demand Su-Kam product which is a 150AH tall tubular battery. It is suitable for heavy duty applications and can be very amicably used in regions with frequent and long power-cuts. These batteries are compatible with many models of inverters. Heavy duty applications, frequent power cuts. Exp. life:1000-1200 cycles at 80% depth of discharge. Better resistance to abuse compared to tubular batteries.